data collection requirements related to regulatory compliance, reporting, payer interactions, and adoption of patient portals. As the amount of data healthcare users create continues to grow, so does the need for more robust security and better storage management. Today’s IT departments face competing demands to increase storage capacity, boost application performance, and reduce the cost-per-gigabyte of storing and maintaining digital information – all while providing rapid access to the data that increasingly drives healthcare decision making. In hospitals and other healthcare organizations, IT staff are tasked with helping providers and other entities collect, store, manage, access, and protect a rapidly expanding amount of patient data. This sensitive protected health information (PHI) must be kept secure in order to meet the privacy requirements of the Health Insurance Portability and Accountability Act (HIPAA). At the same time, this information is being used for Big Data analytics and data mining. Data has become a critical tool in healthcare delivery, but existing data center hardware may not be up to the task of allowing rapid access and analysis. 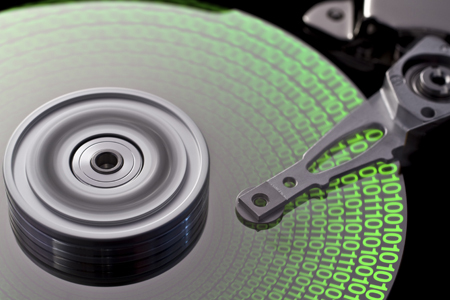 The servers and other devices that rely on mechanical HDD (hard disk drives) can impede responsiveness and slow down important applications, while also increasing support costs.